An accredited medicines foundation course to update nurses on current procedures and guidance. Simply fill in our enquiry form by clicking below and we will get in touch within 24 hours to arrange a time and venue that suits you! Simply select the number of e-learning licences you require and add to cart. We have amazing discounts for bulk purchases- see details below! Licences will be set up within a few hours. All discounts for bulk purchases of e-learning or distance learning workbooks are added at checkout. There is a card handling fee for online purchases and VAT will be added where applicable. Please see our pricing information below to find out how you can save! Are your staff fully trained to handle medicines and identify risks? 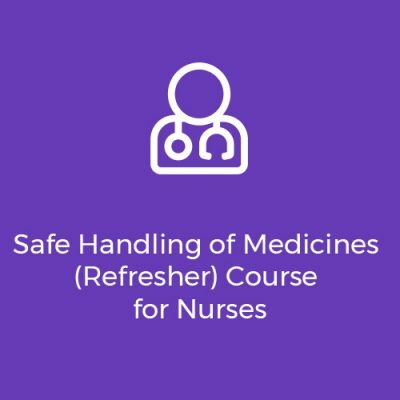 Skills for Care recommend that staff renew their medication management and administration training annually. 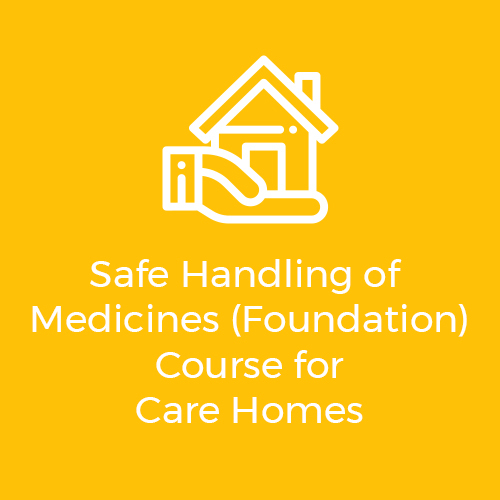 Our Safe Handling of Medicines Foundation course ensures your staff are fully trained and up to date with best practice guidance to help reduce medicines errors in your care home. An accredited medicines foundation course to update nurses on current procedures and guidance. How to use eye drops, patches, inhalers, creams etc. Remember to check out our free downloadable resources. £35 + VAT per licence We offer the following discounted prices: - £30 + VAT per licence for orders of 10 or more of the same licence. - £27.50 + VAT per licence for orders of 100 or more of the same licence. Please get in touch to find out about further discounts for larger orders. How long do the courses take? Most of our face to face courses are half day (3-hour) sessions with a qualified Pharmacist trainer at your venue. Some supplementary courses, such as buccal midazolam & epilepsy or Epipen & adrenaline auto-injector administration, are 2-hour sessions. Our Foundation e-learning courses take between 1.5 to 2 hours to complete. Competency Assessments and Refresher courses take approximately 1 hour and Bite-size courses take approximately 30 minutes. 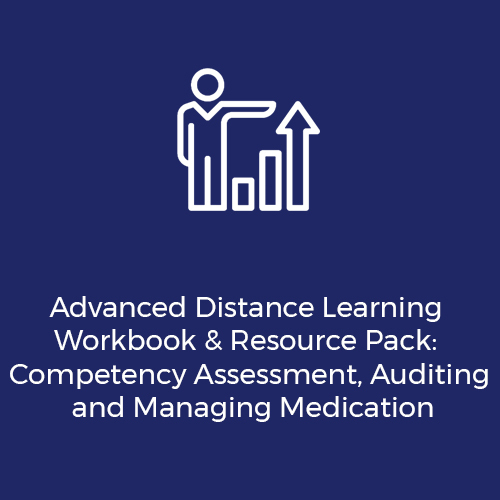 Our distance learning workbooks can be completed in your own time and at your own pace. Yes! All of our courses and services are accredited by the Royal Pharmaceutical Society (RPS). Face to face sessions are held at your venue, providing extra convenience for your staff. We have Pharmacist trainers across the UK so no region is too remote or too far! E-learning courses are completed online and can be used on any internet-enabled device, including Macs, PCs and Ipads. Distance Learning Workbooks are posted promptly to an address of your choosing. Larger order can be couriered to you or sent recorded delivery. How many people can attend a Face to Face course? Our face to face courses are for small groups of up to 10 learners or we can provide training for larger groups of up to 16- whichever works for you! Manager’s courses are undertaken in smaller groups of up to 10 delegates. For e-learning courses- straight away! Once you’ve successfully completed the end of course assessment, you will be able to print off your certificate immediately. For our face to face courses, the trainer will mark your assessments and all successful delegates will receive their certificate via email following the training, usually within 7 days. With distance learning, simply pop your completed assessment in the post or scan it in and email it to us for marking and your certificate will be emailed to you for you to print off and keep. How long does my certificate last for? For most courses, certificates have a recommended refresher of 2 years. Skills for Care guidance recommends that training be updated at least annually and Opus offers online competency assessments which can be used a year after your training for this purpose and refresher courses which can be completed when your certificate expires. How do I get set up for E-learning? Simply purchase through our shop! Once we’ve received your details, you will receive an email with login details from our support team. Follow the instructions and you’re ready to go! If you are purchasing more than one licence for an organisation, you may want to assign someone from your organisation to issue passwords to your staff and to print certificates. This person will be termed as a group "manager/instructor”. Provide the instructor’s name and email during checkout and they will receive all login details they need by email. How many E-learning licences do I need and how long do they last? Each individual learner needs their own licence. Licences last 1 year from the date they are allocated to a user (NOT from the date of purchase) so if you have staff you will need to train in the future, you can purchase a bundle of licences to take advantage of our discounted rates and allocate them to staff as and when they are needed. An accredited refresher course to update you on current procedures and guidance. Suitable for those who have already been trained. 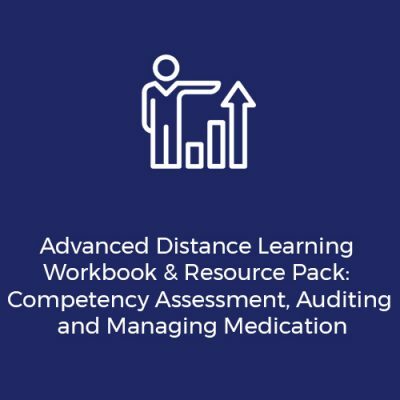 The accredited distance learning course for senior staff responsible for assessing competence, auditing medicines and managing medicines errors and incidents. 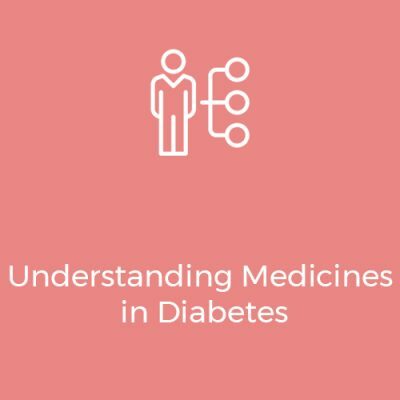 The accredited course you need to support a person with diabetes and understand their medicines. 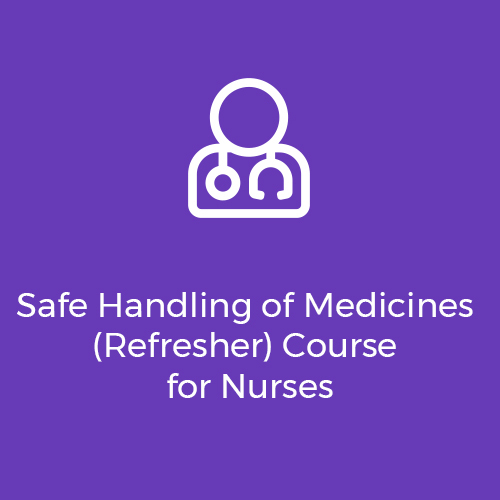 The accredited course you need to enable staff to administer medicines safely in a care home.